Want to beautify your yard? Reduce your family’s carbon footprint? Replace winter damaged shrubs? Support 4-H Camp TaPaWingo and help the environment at the same time! A variety of native, disease-resistant species, grown by reputable nurseries in our climate and dug fresh immediately before your tree pick up, are available. They include tamarack, balsam fir, white cedar, red pine, white pine, blue spruce, white spruce, red oak, white oak, sugar maple, black cherry, river birch and red maple. Shrub choices are black chokeberry, button bush, butterfly bush, nannyberry and red osier dogwood. Minimum order is 10 trees or shrubs of one kind and must be ordered in multiples of 10. Many are unable to attend camp for financial reasons so Camp TaPaWingo also offers a Campership Program which covers 25%-50% of camper registration fees. No investment yields greater returns than the investment you make in the life of a child. If you would like to support the Campership Program, please designate your donation as “CAMPERSHIP”. Dinner tickets can be obtained by advanced purchase only. Tickets are limited and are distributed on a first-come, first-served basis. Cost is $25 for adults, $15 for youth 4-16 years old, and children three and under eat free. Activities include auctions and a variety of raffles. Youth 16 and under get $5.00 in TaPaWingo Kids Cash with their banquet ticket. Credit card, cash and checks will be accepted at the banquet for raffle tickets and auction items. Organizations and large groups are welcome. Tables seat eight people. Purchase a group of eight tickets, and receive a discount. If you have any questions, please contact Ruth Aebischer at (920) 849-9427 or email her at draebischer@outlook.com for additional information. Camp TaPaWingo and the Banquet Committee would like to express a special thank you to all of those generous businesses and individuals who have donated items to make the banquet raffles and auctions a success. Of course those who have provided financial support are greatly appreciated as well! Thank you. 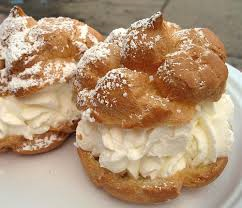 Bring your family and join us at the Manitowoc County Fair for the perfect fair food — Cream Puffs! The 4-H Camp TaPaWingo Cream Puff booth is located in the Merchants Building. Our baked golden shells filled with a delicious cream filling are a huge hit. Booth volunteers also offer a variety of drinks to help you wash down your cream puffs and stay hydrated during a busy day at the fair. Make sure you visit us at the 2018 Manitowoc County Fair! Stop by the Camp TaPaWingo booth and pick up a Cream Puff! All proceeds from the Cream Puff Booth go directly to support programs at Camp TaPaWingo. The We Care program provides you with an easy way to contribute to Camp TaPaWingo without reaching into your own wallet. Each time you use your Advantage Plus Savers Club card, Camp TaPaWingo can receive a cash rebate from Pick ‘n Save. To sign up, visit the Customer Service Desk at Pick ‘n Save and let them know you’d like to give to Camp TaPaWingo, #239975.